Kevin is a teacher in London and co-author of Who Is Afraid Of The Easter Rising. He is a member of the AoI Education Forum and the Battle of Ideas committee. 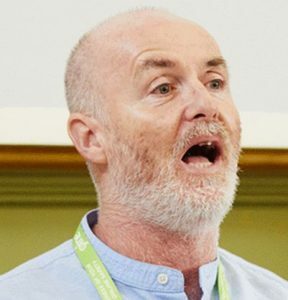 He speaks regularly in panel debates and has contributed articles to a range of publications on education, politics, Irish current affairs, civil liberties and football. He has written chapters for several books on Ireland and education on topics such as ‘education for mutual understanding’ in relation to solving conflict in Northern Ireland and on citizenship lessons in UK schools. His second book, The Blood Stained Poppy, is forthcoming. Kevin’s other great passion in life is Celtic Football Club, of which he is a season-ticket holder and shareholder.